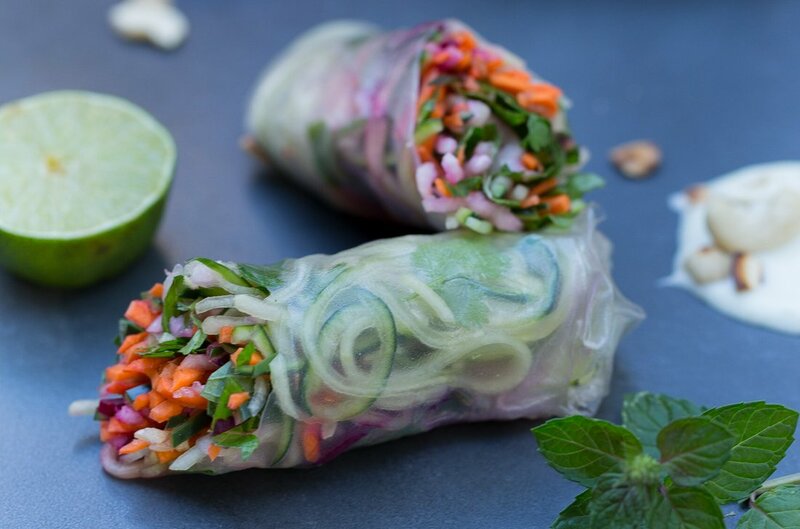 To make the filling, combine the peppers, carrots, beets, sprouts, scallions, lime juice, fish sauce, and mint. Using a Microplane, grate in the ginger and garlic. Stir in a bit of olive oil, and inhale the freshness. Taste! If it needs more salt from the fish sauce, spice from the garlic and ginger, or sour from the lime, adjust with glee. To assemble the rolls, bring a skillet filled with water to boil over high heat. Turn off the heat, then dip one wrapper in the water until just barely soft, and lay it on a clean surface. Place a large spoonful of veggies in the middle, tuck in the edges like a burrito, and roll! 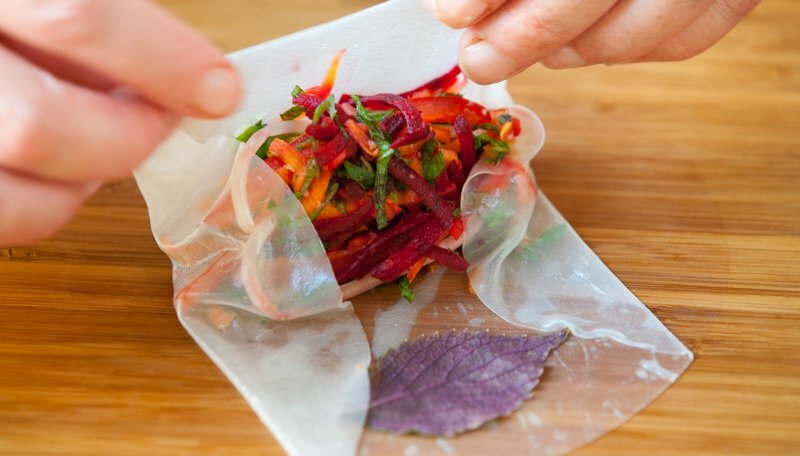 At the last roll, tuck in a shiso leaf, pretty side down, for color and flavor. Repeat with the remaining filling and wrappers.